Meanwhile, Anushka Sharma and Virat Kohli will clock their first wedding anniversary on December 11 and if reports are to be believed, the couple will be celebrating it in Australia. A few days ago, speculations were rife that Anushka Sharma, who is currently gearing up for the release of director Aanand L Rai's upoming film Zero, was pregnant with Virat Kohli's child. The rumours started doing the rounds of the internet when Anushka was spotted wearing loose dresses which appeared to look like a baby bump during her outings. Putting all the speculations to rest, Anushka has finally broken her silence and called her pregnancy rumours silly and found them hilarious. "That (spreading rumours) is something people will do anyway. It's completely unnecessary and silly as you ultimately can't hide such a thing. You can hide a marriage but not pregnancy. I feel every female actor goes through it, so people marry you off even before you are hitched and make you a mother before you are pregnant. I don't pay attention to it, and just laugh these things off since I find them hilarious. When I read about such stuff, I think, 'where do such absurd things come from?' Right now, I'm literally working round-the-clock," Anushka Sharma was quoted as saying by Hindustan Times in an interview. Meanwhile, Anushka and Virat will clock their first wedding anniversary on December 11 and if reports are to be believed, the couple will be celebrating it in Australia. 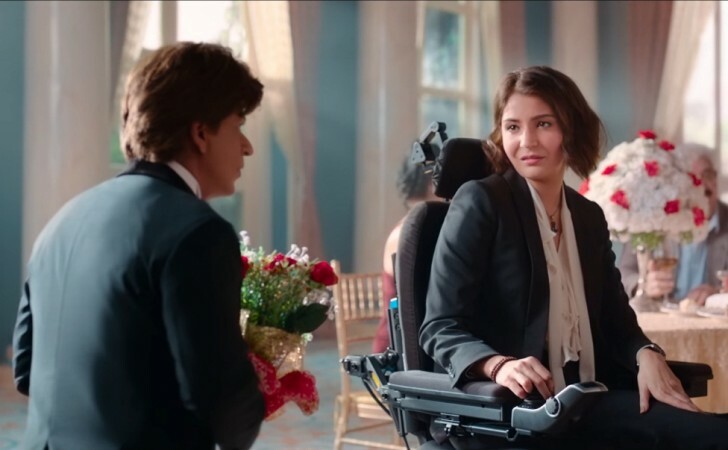 On the work front, Anushka is busy promoting Zero which also stars Shah Rukh Khan and Katrina Kaif in lead roles. The movie will hit the theatres on December 21 where it will lock horns with Kannada action drama KGF starring Yash and Srinidhi Shetty in the lead.